It's not often that I read a book and I spend the entire time wondering what it is about it that's keeping me reading. Usually I know right away if I'm enjoying a book or if I'm just not. In fact, the only other time I remember having this feeling is with the first Snookie Snackcake book. I was left with such mixed feelings that I never went back to the series. This one could be similar for me. As I was reading it, I kept thinking that I really liked the premise. In fact, I was enjoying the book. Then, I'd notice an editing error and I'd have to walk away for a bit. Yes, they make me twitchy. I can't help it. It's my job to notice these things. Then, I'd want to know what was happening so I'd come back. Final opinion? It's a good book and other than one part that I just didn't get, I think it's a story that a lot of you will enjoy. Edit: It's been brought to my attention that the copy that I received wasn't the final edited version! Whew! Knowing that, I can happily say go for it on this book! 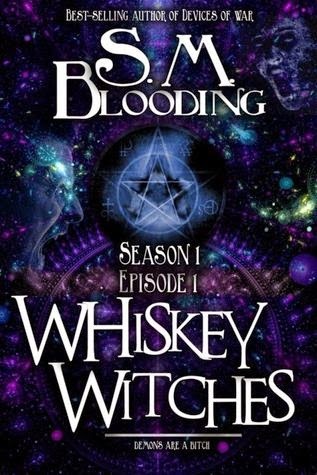 The story is interesting and if you enjoy paranormal fiction, this could be an excellent series for you. I received a copy of this book for the purpose of this review. No spells were cast on me so all thoughts, opinions and typos are my own.